It was the best of beers, it was the worst of beers. This is the only line that I know from the Charles Dickens novel. Actually, this knowledge was learned from Mr. Google. The title does introduces two contrasting beers nicely. Today I shall be ranting about Phillips, most days I rant about Phillips. Mix this rant about what makes a beer good. A beer is good for two reasons. The first is that it loosely follows guidelines and is free of flaws or faults. The second is that it tastes good (to you). Unless you are entering a beer in a contest, the first reason is usually ignored. Except for the flaw part. Now we come to the second reason, does a beer taste good? Does a beer actually taste good.... really? Are your tastes biased due to marketing, preconceived expectations or the third and most insidious reason of Untappd review bias? I like to call this the Emperor's New Clothes effect. In this instance you are presented with a new beer. It has great packaging, great description, made by a big craft brewery with lots of positive Untappd or Ratebeer reviews. This must be a good beer right? Not always. In some circles this is called expectation or subjectivity. The classic example used wine experts and their impression about a certain wine. In this experiment, experts were served a bottle of red wine labeled as a grand cru (special) and a bottle labeled as a vin du table (ordinary). Experts rated the grand cru as better than the table wine. The kicker was that they were served the same wine in different bottles. You can influence experts with labeling. It happens in the beer world too. Samuel Adams Utopia is only pretty good, Pliny the Elder is not that mind blowing and the Phillips 10th Anniversary beer was an average IPA in a really fancy bottle. Perhaps this is enough ranting, I think you get the point. Like you never saw this review coming. Mr. Mouse started off with a wonderfully sweet nose of sweet tropical fruit, pineapple and passion fruit. 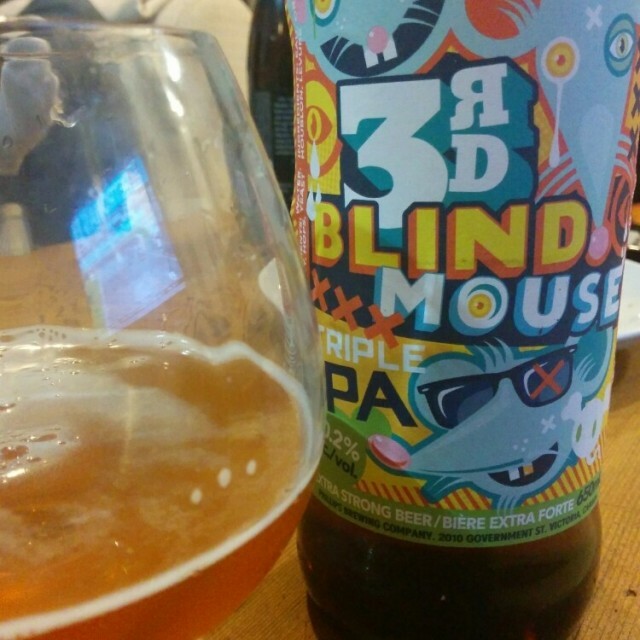 Should have called it 3rd Blind Mosaic. Things went south when the tongue numbing bitterness became difficult to stomach. It was overly bitter, boozy and lacked malt balance. I imagine that this is what 20 year old can of tropical fruit salad would taste like. Despite all this, I felt there was a bit of diacetyl slickness in the aftertaste. This beer hit the drain. My thoughts were confirmed by others in the room with me: a great homebrewer, a professional brewer and a highly rated beer geek. They also thought it tasted like every other Phillips IPA. It looked wonderful, smelled great, was made by a famous craft brewery and had many great reviews. To me this beer just sucked. 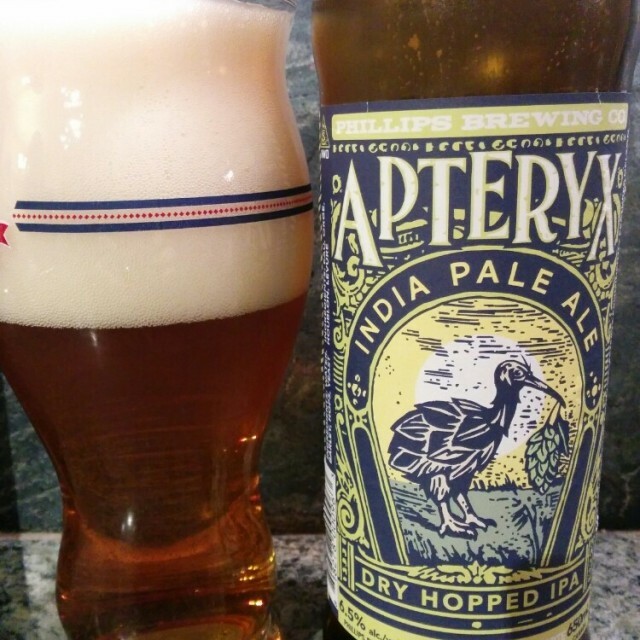 I found this IPA to be quite tasty and interesting. I liked the use of Nelson Sauvin hops. I can't say that I have ever tried a gooseberry, cape gooseberry yes, but not a European one. Sauvignon blanc wine has passed over my tongue and yes you can taste it in these hops. There was the expected mix of tropical fruit, grapefruit with spicy papaya seeds.The mild bready and fruity malts did not distract from the slight white grape juice taste of the hops. A lingering of peppery fruit provided a pleasant end to the sip. I liked it, not stellar, but very tasty. Can Beer Help with Post Exercise Rehydration?